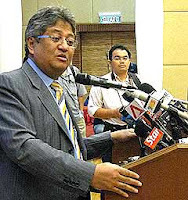 This report from Malaysiakini is of immense historic significance as it reveals the clarity, courage and brilliance of erstwhile de facto Law Minister Zaid Ibrahim who resigned in protest against the recent spate of ISA arrests. Below is the Malaysiakini scoop in full, with a link to the complete text of Zaid's masterful speech at the LawAsia Conference 2008 today. If there are other thinkers of Zaid's caliber to be found in Umno, then there may still be a tiny spark of hope for Barisan Nasional. However, I have a distinct feeling Zaid Ibrahim will soon be thrown out of Umno just for speaking the truth. 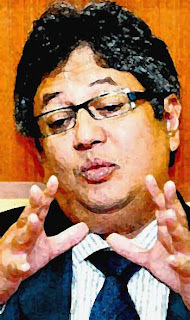 The 'Ketuanan Melayu' model has failed, declared former de facto law minister Zaid Ibrahim in an incisive speech at the LawAsia 2008 conference in Kuala Lumpur this morning. 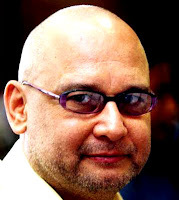 "It has resulted in a waste of crucial resources, energy and time and has distracted from the real issues confronting the country," said Zaid, who criticised the race-based policy despite being a member of the ruling Umno party which was set up to safeguard Malay interests. Zaid also noted that 'deputy premier in waiting' Muhyiddin Yassin had suggested the need for a closed-door forum for leaders of the Barisan Nasional (BN) to develop a common stand, a renewed national consensus grounded on the social contract. "This is a positive step but it should include all political leaders and be premised on the social contract that was the foundation of independence," said the lawyer by training who was made senator and subsequently minister entrusted with the task of reforming the judiciary by Prime Minister Abdullah Ahmad Badawi following the March 8 general election. He quit last month in protest against the arrest of three individuals under the Internal Security Act (ISA) which provides for detention without trial. Zaid said March 8 was a clear indicator that the ruling BN coalition no longer exclusively speaks for the people. He also underscored the importance of promoting discourse and dialogue so that Malaysians learn to talk and to listen to one another again. "Communication and trust amongst the people must be re-established," he said. The former minister called on the BN government to abandon its 'reworked' concept of the social contract and embrace a fresh perspective borne out of discussions and agreements made in good faith with all the communities. "It is time for us all to practise a more transparent and egalitarian form of democracy and to recognise and respect the rights and dignity of all the citizens of this country." 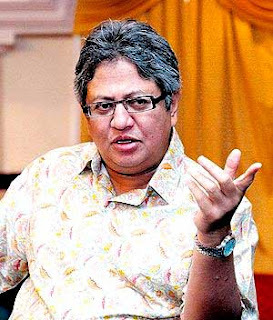 Singling out Mukhriz Mahathir for criticism, Zaid said the Umno Youth chief aspirant typifies what is perceived as the kind of Umno leader who appeals to the right-wing of Malay polity. "That he may be right is sad as it leads to the ossification of values that will only work against the interests of the party and the nation," Zaid lamented in his 16-page speech. "This type of thinking may pave the way to a suggestion in the future that we may as well do away with general elections altogether as they may not be good for the Malays for, if the justice that a revitalised rule of law would allow for is not to the benefit of the Malays, what is? More inefficiency, more corruption and a more authoritarian style of government perhaps. "We are a deeply divided nation, adrift for our having abandoned democratic traditions and the rule of law in favour of a political ideology that serves no one save those who rule." According to Zaid, the obsession with the Ketuanan Melayu doctrine has destroyed something precious in Malaysians. "It makes us lose our sense of balance and fairness. When a certain Chinese lady was appointed head of a state development corporation, having served in that corporation for 33 years, there were protests from Malay groups because she is Chinese," he said referring to the controversy involving the appointment of Low Siew Moi as acting head of the Selangor Development Cooperation (PKNS). "A new economic vision is necessary, one that is more forward looking in outlook and guided by positive values that would serve to enhance cooperation amongst the races. This will encourage change for the better, to develop new forms of behaviour and shifts of attitudes, to believe that only economic growth will serve social equity, to aspire to a higher standard of living for all regardless of race. "We need to meaningfully acknowledge that wealth is based on insight, sophisticated human capital and attitude change. A new dynamics focused on cooperation and competition will spur innovation and creativity. "Some might say that this is a fantasy. I disagree. How do we go about transforming the culture and values of the bumiputeras so that their ability to create new economic wealth can be sustained? "By changing our political and legal landscapes with freedom and democracy." On that note, Zaid said Mahathir was right to have asked the Malays to embrace modernity but the 82-year-old statesman fell short by only focusing on the physical aspects of modernity. "He was mistaken to think all that was needed to change the Malay mindset was science and technology. He should have also promoted the values of freedom, human rights and the respect of the law. "If affirmative action is truly benchmarked on the equitable sharing of wealth that is sustainable, then we must confront the truth and change our political paradigm, 40 years of discrimination and subsidy have not brought us closer. There is a huge economic dimension to the rule of law and democracy that this government must learn to appreciate." Zaid conceded that relationship between Islam, the state, law and politics in Malaysia is complex. "How do we manage legal pluralism in Malaysia? Can a cohesive united Bangsa Malaysia be built on a bifurcated foundation of Syariah and secular principles? Will non-Muslims have a say on the operation of Islamic law when it affects the general character and experience of the nation? This is a difficult challenge and the solution has to be found." He quoted leading Muslim legal scholar Abdullah Ahmad an-Na'im who believed that a distinction should be made between state and politics. Prime Minister Abdullah Ahmad Badawi, he noted, believes that Islam can be the mediating instrument between state and politics through the principles and institutions of constitutionalism and the protection of equal human rights of all citizens. "Whatever the formula, we can only devise a system that rejects absolutism and tyranny and allows for freedom and plurality if we are able to first agree that discourse and dialogue is vital. Democracy and respect for the rights and dignity of all Malaysians is the prerequisite to this approach." Zaid stressed that the conflicts of jurisdiction in Malaysia require resolution. The civil courts, he said, are "denuded of jurisdiction" to deal with matters that fall within the jurisdiction of the Syariah court. "No court has been given the jurisdiction and power to resolve issues that may arise in both the Syariah courts and the civil courts. The present separation of jurisdictions presupposes that matters will fall nicely into one jurisdiction or the other. However, human affairs are never that neat. What happens to the children of a marriage where one party converts to Islam and the other party seeks recourse in the civil court? Or when the Syariah Court pronounces that a deceased person was a Muslim despite his family contesting the conversion? "Or where the receiver of a company is restrained from dealing with a property by a Syariah Court order arising out of a family dispute? Where do the aggrieved parties go? I had suggested the establishment of the constitutional court, but that plea has fallen on deaf ears." The former minister had also touched on the use of draconian measures, which according to him have seen a marked increase in dealing with political and social tensions. "Was not the detention of Hindraf leaders under the ISA itself an act of aggression, especially to people who consider themselves marginalised and without recourse? "It is time that the people running this country realise that we will not be able to resolve conflicts and differences peacefully if we ourselves do not value peaceful means in dealing with problems." Zaid argued that the situation had been aggravated by the absence of an even-handed approach in dealing with organisations such as Hindraf. "While I applaud the prime minister for calling upon the Indian community to reject extremism, should not a similar call be made on the Malay community and (Malay daily) Utusan Malaysia? I call on the prime minister, both the outgoing and the incoming, to deal with such issues fairly. Start by releasing the Hindraf leaders detained under the ISA. The release would create a window for constructive dialogue on underlying causes of resentment. I also appeal for the release of (Malaysia Today editor) Raja Petra (Kamarudin) from ISA detention. He is a champion of free speech. His writings, no matter how offensive they may be to some, cannot by any stretch of the imagination be seen as a threat to the national security of this country." The Malays, Zaid said, are now a clear majority in numbers and the fear of their being outnumbered is baseless. "They are not under seige. The institutions of government are such that the Malays are effectively represented, and there is no way the interest of the Malays can be taken away other than through their own weakness and folly." BRAVISSIMO, ZAID! I DO HOPE YOU WILL WORK WITH ANWAR AND THE PAKATAN RAKYAT GOVERNMENT TO ACHIEVE WHAT YOU WERE UNABLE TO DO WITH ABDULLAH BADAWI. AFTER ALL BOTH YOUR FATHERS WERE NAMED IBRAHIM AND, TOGETHER, YOUR FIRST NAMES COMPLETE THE ALPHABET! it's touching indeed.every word uttered are true and shows the current state of affairs in our country.if only the leaders pay attention to this speech,only then malaysia will move forward and be a role model to the world b'cos herein lies the tonic to cure our beloved country.lets put our differences aside and work as a nation regardless of race and religion and we will succeed and flourish together.i hope and pray that the citizens of this country is known as malaysians one day be it ahmad,ah chong ,muthu,simon,john,bambang as long as they are malaysian..period. If you have the time (and attention span) do read the whole speech @ Mkini. Haven't read the full text yet, just skimmed it, and I can't wait to savor Zaid's debut as a full-fledged class act in Malaysian politics! Antares, Zaid is some one the Pakatan should take in. He is without doubt one who yearn for a better Malaysia. BN flaws is out lil by lil. Actually, Zaid shouldn't pin point all the flaws. He should have keep it and let the BN go bodoh for another few years. Let the people have another round of shooting votes at them! You are skillful in communicating with people. Why don't you help organize a three-step campaign to help people like Zaid's in UMNO (no, not the leaders but the followers in UMNO in the kampungs)to get enough of truth? 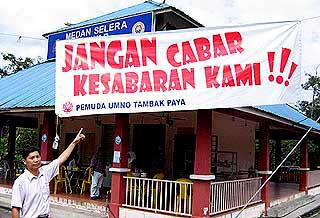 The average Malays must get enough of truth! They are usually good Muslims, when we meet them day-to-day. Step one - Their leaders misled them by becoming super-rich themselves! Step two - Who have grabbed their rightful shares? Why aren't average Malays getting richer, with all the helps for 40 years? If their leaders are sincere in fighting for the average Malays, why do they grab so much for themselves? How on earth can minority Chinese & Indians and the rest manage to short-change the Malays? It is their own leaders who short-changed them! Salute to Zaid Ibrahim , the last decent man in Umno ! HAPPY DEEPAVALI ~ MAKKAL SAKTHI!